The punk band, No Advisory out of Simi Valley, California recently received the honor of the "Best Punk Band" at the Ventura County's Music Awards 2016! 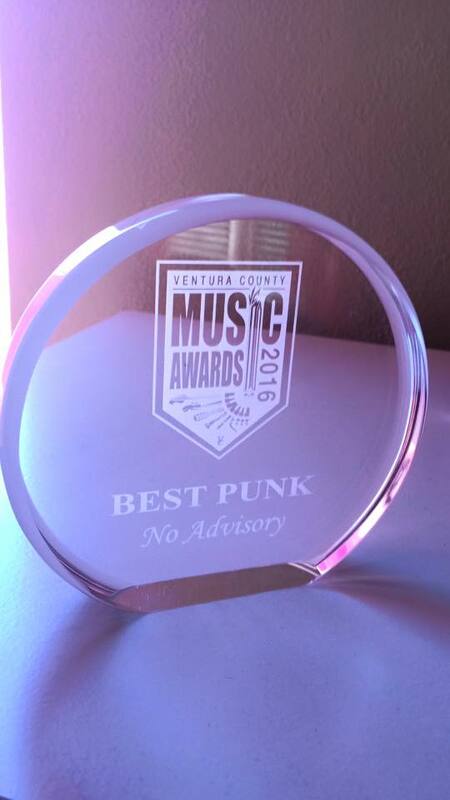 We at CowGirlZen Entertainment are proud to announce No Advisory's Best Punk Award win! 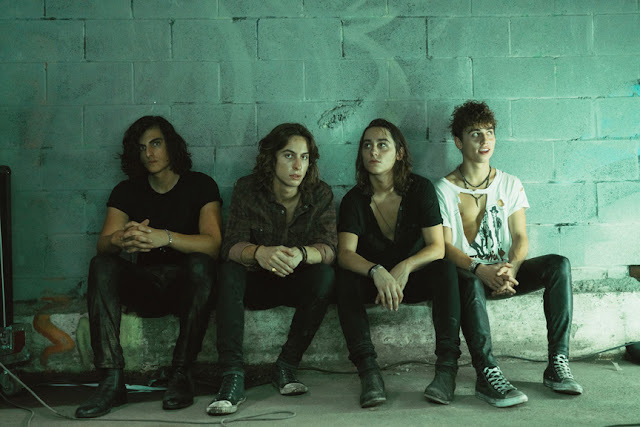 Quickly becoming noticed as one of the best punk bands to come out of Southern California, the band has already released one full-length album, "Better Late Than Never" and they are currently working on their next album, "Everyone Is Stupid" to be released this year. With multiple shows coming up through the fall, No Advisory has a SPECIAL announcement to make soon on their album release show soon! Follow No Advisory on Facebook, Bandcamp and Instagram for updates! From the band- "First of all THANK YOU to everyone who supported and voted for us for the VCMA's! We entered our name into the running some months back not knowing how far we could make it. We got moved to the final round thanks to all the votes we received from our fans and then got to play a showcase in July to show what we were made of. 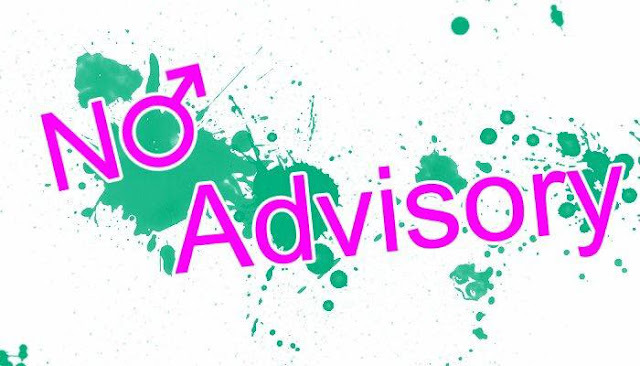 No Advisory was up against some great bands so we knew this would be a neck and neck race to the ceremony come September 9th. We can't explain how great of a feeling it was to know the amount of support we have from our fans and local community that lead us to winning this award. 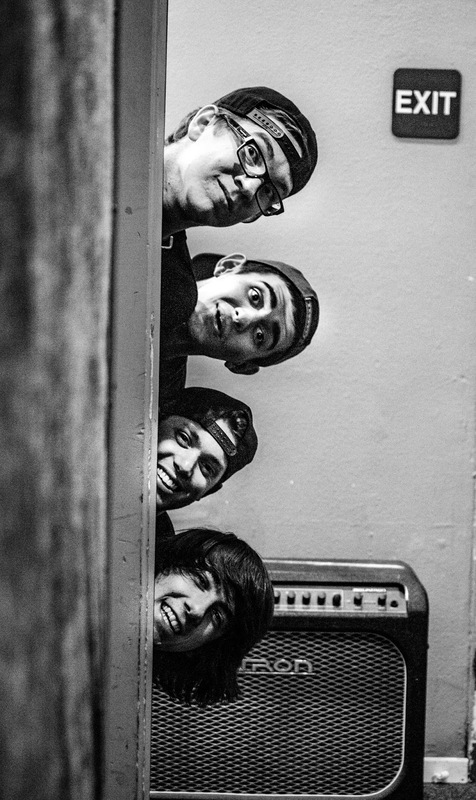 So once again, thank you for listening to our music, coming to our shows, and keeping the music scene moving forward. 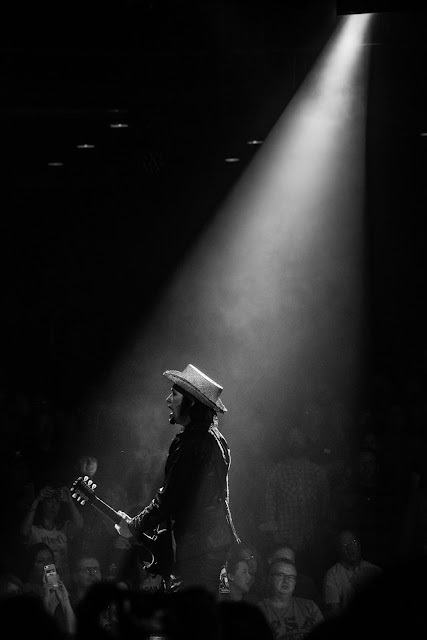 See you at a show!" Live @ Borderline Bar Thousand Oaks, Ca.